The Roland DJ-808 DJ Controller Carry Case uses a durable, protective construction to house the Roland DJ-808 DJ Controller. The extra soft interior offers maximum protection from bumps, scuffs, and scratches to keep your DJ-808 in perfect condition for when you need it most. With Velcro handles and zips for convenience, the DJ-808 Carry Case allows for easy transportation of the DJ-808. 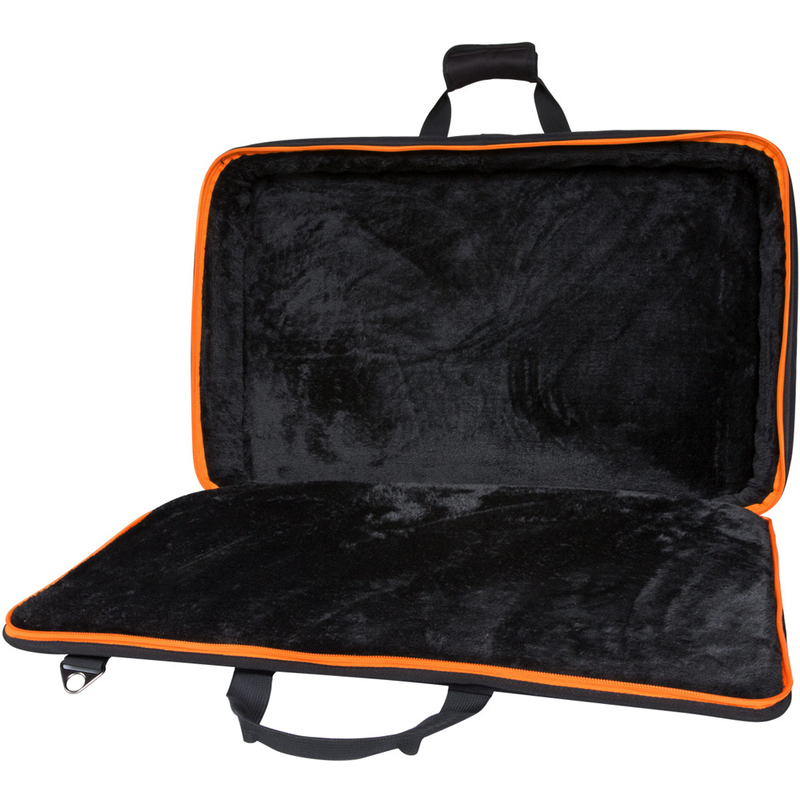 A multi-purpose accessory pocket is also found on the front of the case to provide storage room for your essential DJ accessories or laptop making the DJ-808 Carry Case perfect for travelling and touring DJs. The Roland DJ-808 DJ Controller Carry Case is a durable case for the Roland DJ-808 DJ Controller, essential for traveling/ touring DJs and producers. 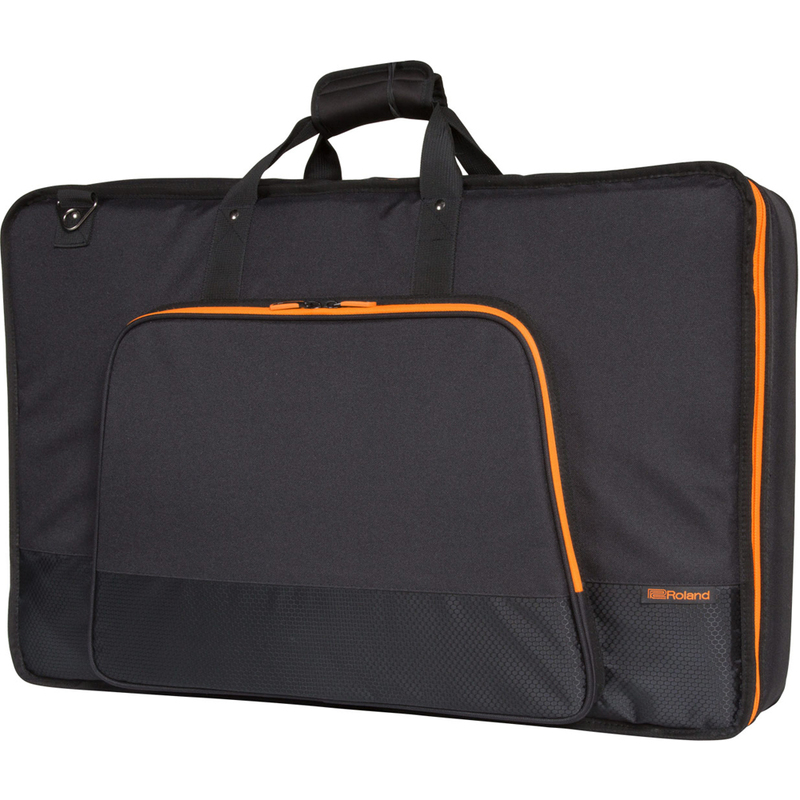 The case features sturdy Velcro handles and provides quick and easy access to the main zips on the outside of the case. A convenient multi purpose accessory pouch is also located on the front of the carry case, allowing for storage of any cables, disks, or other accessories for the DJ-808. The DJ-808 Carry Case also features a soft, padded interior to offer maximum protection during transport and to ensure your Roland DJ-808 DJ Controller is ready for action whenever you need it. 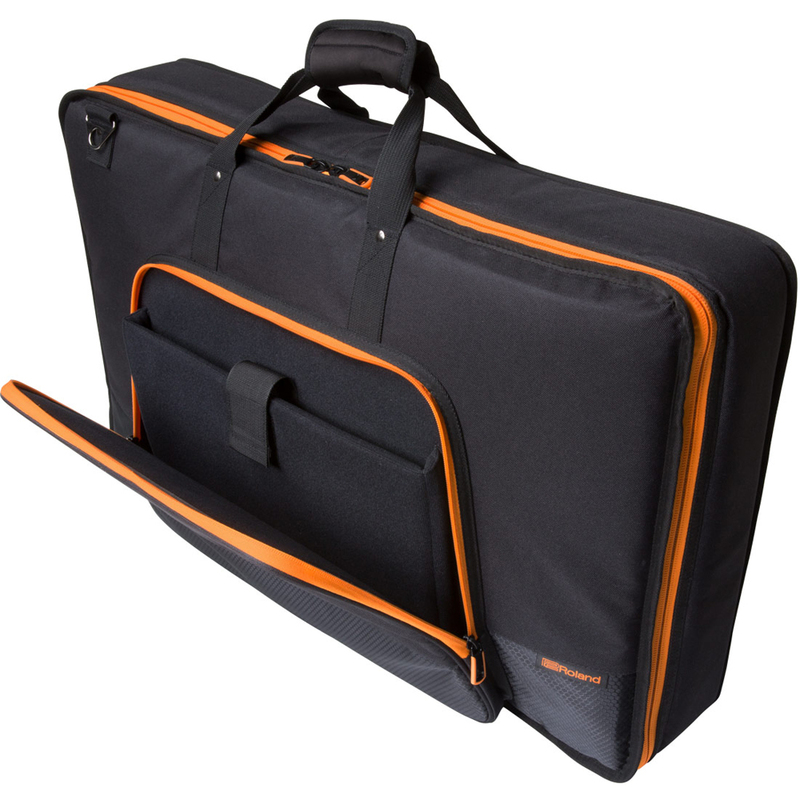 Featuring orange accents and Roland branding, the Roland DJ-808 DJ Controller Carry Case is a smart and effective way to transport your DJ controller safely.